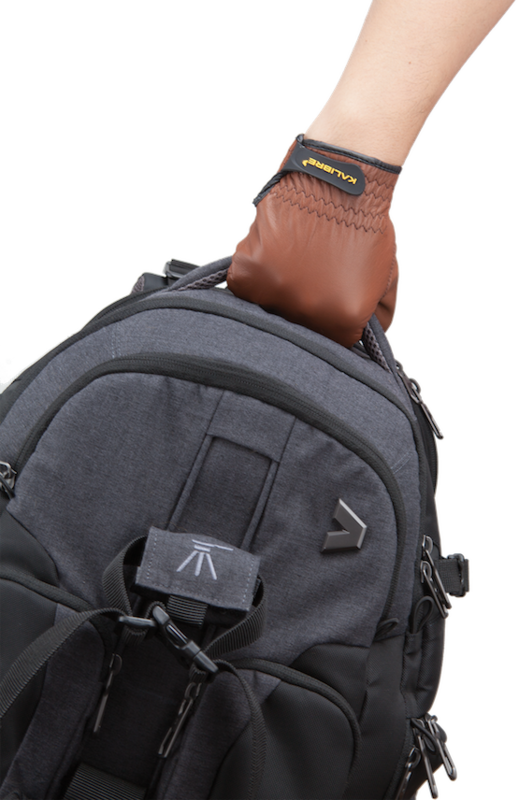 Kalibre Glove – Fit your hands through journey. 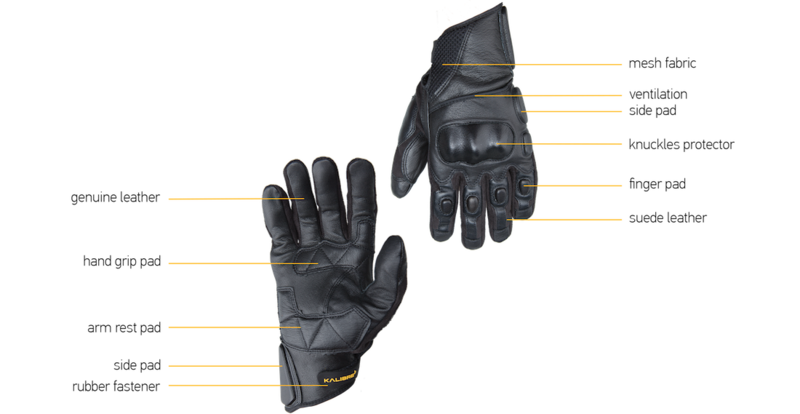 Perfectly made from genuine leather, usually used for motorcycling gloves, cycling gloves , and weightlifting gloves. Kalibre gloves protect and comfort hands against cold or heat, damage by friction and abrasion. We design pre-curved finger construction to reduce fatigue and external finger pad for a close fit and ergonomic use. Featuring Kalibre hard knuckle protection technology with maximum dexterity. Ventilated leather top surface panel and side mesh fabric keep the hands cool. 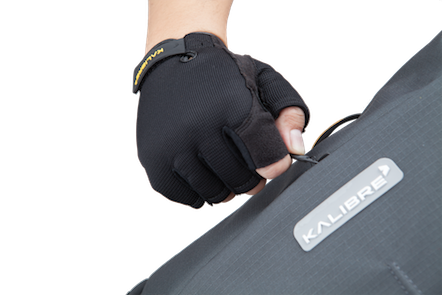 Kalibre gloves also equipped with hand grip pad and arm rest pad to handle and grips better, especially at motor touring. These gloves also have injected side pad and finger pad to resist impact and abrasion. Kalibre Gloves using secure and precise Velcro wrist with adjustable closure strap. Adapting Thermal Plasticized Rubber (TPR) material combine with high grip Velcro closure, make the gloves feel secure, masculine and superior feel. Fingerless gloves are worn by motorcyclists to get extra grip on the handlebars. Kalibre Gloves also add Abrasion-resistant palm pad technology to create comfort in a long journey. This technology allow you to have extra grip and finger control. Your touring satisfaction is our priority. With a stylish pattern inspired by overcast stich, these masculine gloves combine the luxurious feel of leather with a unique style. Our unique properties of leather allow for both a comfortable fit and useful grip for the wearer. 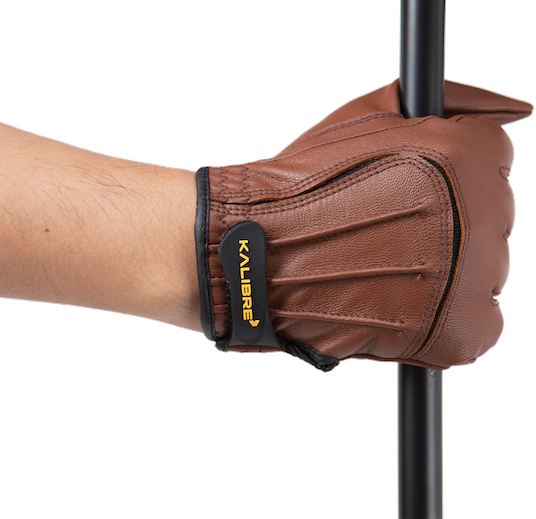 Kalibre gloves using as soft as a leather glove may be, we provide a level of friction when "gripped" against an item or surface. Coming in a range of styles for touring, we think about your safety and comfort. With palm pad technology and knuckle protection technology, let us make your journey feel safe. Kalibre follow basic finger anatomical to get flexibility, extra grip and superior fit design.